Anything Cardiff Smith draws comes to life - at a terrible cost. Everyone who has ever had the gift disappears, including Cardiff's mother. But what good is having an amazing gift if you can never use it? Cardiff starts with a pink bicycle for his little sister, Paris, draws an electric guitar for his big brother, Zurich, and secretly leaves gifts for everyone at school. When he decides to draw a park over the old lot in town, Cardiff might be taking it a step too far. The Smith family secret is a secret, after all. 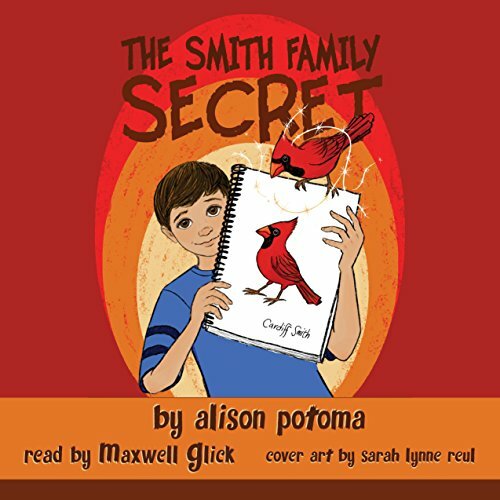 The Smith Family Secret, Book 1 is a 12,000-word chapter book, with a Flesch-Kincaid grade level of 2.9 - perfect for your young reader who is excited about magic and art. Anything Cardiff Smith draws comes to life - at a terrible cost. Everyone who has ever had the gift disappears, including Cardiff's mother. But what good is having an amazing gift if you can never use it? Cardiff starts with a pink bicycle for his little sister, Paris, draws an electric guitar for his big brother, Zurich, and secretly leaves gifts for everyone at school. When he decides to draw a park over the old lot in town, Cardiff might be taking it a step too far. The Smith family secret is a secret, after all.